Netflix CEO Reed Hastings' pay keeps climbing. Hastings, Netflix's co-founder, took home a total of $24.4 million last year, according to a company filing Monday. His pay rose 5% in 2017 from the year before. Most of Hastings' paycheck came from stock options the company granted him. Stock options allow employees to buy or sell company shares at a pre-determined price and time. Since options take time to vest, they're widely used as performance incentives. Hastings' base salary was $850,000 last year, but he was awarded $23.5 million worth of options. He has not received a cash bonus in the last three years. 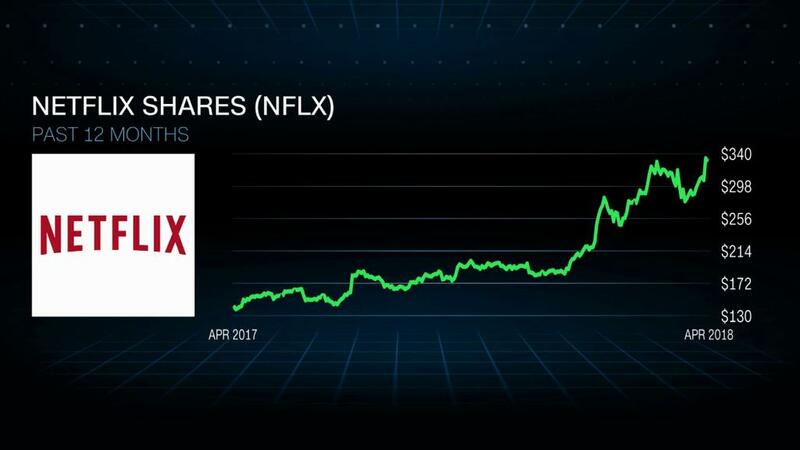 Netflix's (NFLX) stock has more than tripled in that time. Hastings' annual salary has fallen in recent years in favor of higher options. That will continue again this year. Hastings' base salary for 2018 will be lowered to $700,000, but options will go up to $28.7 million. Chief content officer Ted Sarandos got an 18% raise last year to bring his total pay to $22.4 million. Sarandos got a $9 million cash bonus. Netflix announced last year that it's eliminating bonuses and transferring them into salaries because of the new tax law. The tax code eliminated a loophole for executive compensation. In 1993, President Bill Clinton signed a budget with a provision meant to rein in executive pay. The law taxed executive salaries over $1 million a year, but allowed an exemption -- section 162(m) -- for "performance-based" targets. Companies like Netflix used the loophole to deduct bonuses and stock options linked directly to performance. Now that 162(m) is dead, Neflix is raising executive base salaries. Sarandos received a $1 million salary in 2017, but it will jump to $12 million in 2018 and he'll get $14.2 million in options. Chief product officer Greg Peters got a $1 million salary last year, and it will climb to $6 million this year. "They're just going to go to the salary they wanted to do in the first place," said Alan Johnson, a financial compensation expert who runs the consulting firm Johnson & Associates. "The only reason you would change it because of the tax law is because you never believed in bonuses." One of Netflix's shareholders is now suing the company, alleging the cash bonuses were improperly doled out. The City of Birmingham Relief and Retirement System filed a lawsuit earlier this month claiming that Netflix "rigged the compensation process, guaranteeing Netflix officers huge cash payments while misleading investors into believing that these payments were justified by attainment of real performance goals." Netflix did not immediately respond to request for comment on the suit. Netflix is one of the only companies to make the bonus change in the aftermath of the tax overhaul, said Dan Marcec, director of content at Equilar, an executive data firm. Marcec doesn't expect many companies to eliminate performance bonuses either since they're a tool to reward executives for creating shareholder value. In 2016, the median performance-based executive compensation package was more than five times the median salary for S&P 500 companies, according to Equilar.